Six years later, with the Federation losing ground in its war against the Dominion, the galaxy's greatest smugglers -- including the beautiful and enigmatic Vash -- rendezvous on Deep Space 9. Their objective: a fabled lost Orb of the Prophets unlike any other, rumored to be the key to unlocking a second wormhole in Bajoran space -- a second Celestial Temple. Almost immediately, mysterious events plague the station: Odo arrest Quark for murder; Jake and Nog lead Chief O'brien to an eerie holosuite in a section of the station that's not on any schematic; and a Cardassian scientist whom even the Obsidian Order once feared makes an unexpected appearance. 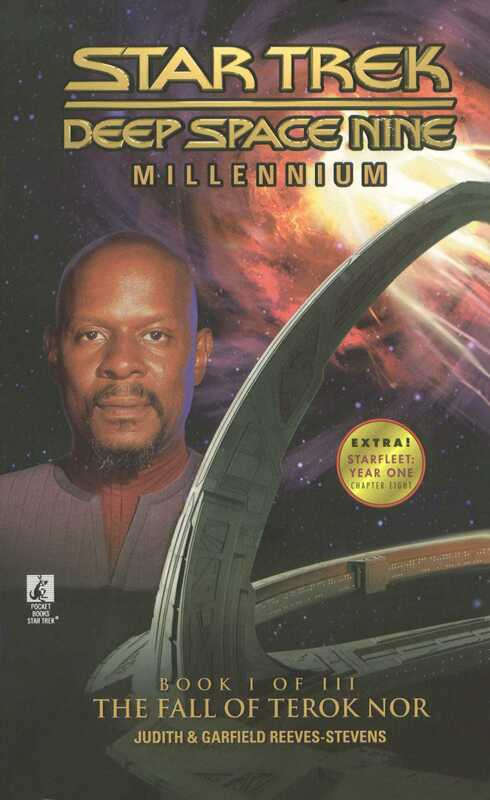 With all those events tied to a never-before-told story of the Cardassian withdrawal, Captain Benjamin Sisko faces the most dangerous challenge of his career. Unless he can uncover the secret of the lost Orb, what began with the fall of Terok Nor will end with the destruction of Deep Space 9...or worse.